This provides an alternative way of editing and laying out your HUD without having to use sliders and guess positions through the widgets menu. Make sure to delete any old versions of the pak. Locate your Reflex installation directory. Typically it’s found at Program Files/Steam/steamapps/common/reflexfps/. Place the .pak file inside the /base folder. Now available through the steam workshop. While in a game go to your widgets menu, and press the “Hud Editor” button. Oh my God, yes. Devs, please make this editor a base feature. Only way I could think to make it better would be some kind of snap. You are a god amongst men. This is one of the things that I found particularly annoying, when I was trying out new widgets, moving them around etc. Constantly dipping in and out of the menu to move them, and having to guess the values... urgh. If this works how I think it does, and it looks that way, then you have done great work for the community! Thank you sir. You are a god against men. This is one of the things that I found particularly annoying, when I was trying out new widgets, moving them around etc. Constantly dipping in and out of the menu to move them, and having to guess the values... urgh. If this works how I think it does, and it looks that way, then you have done great work for the community! Thank you sir. A god AMONGST men, I hope. Last thing we need these days is a god out to get us... Especially not one with sick Lua skills. lol! I edited my post, oops! This widget feels like it should have been here all along, good work. Snapping to a grid of 5 could be a nice feature as well as the ability to turn off a widget within that popup box thing when you right click. Another thing which might not be possible is showing a bounding box for each widget. This should be official and i mean it. 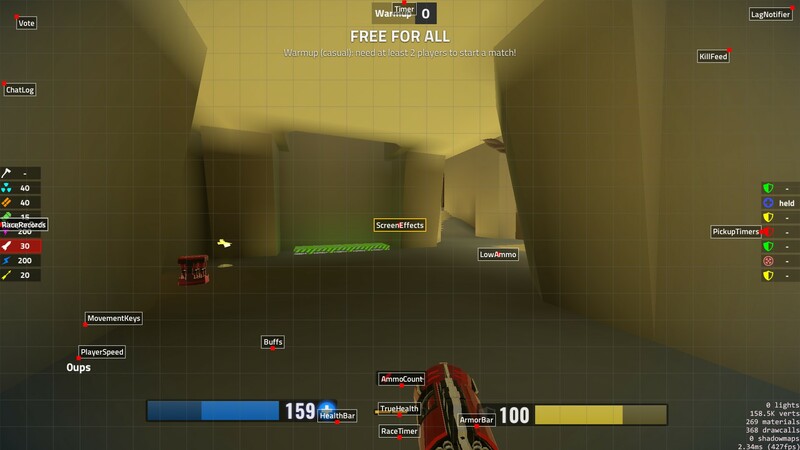 Games like Xonotic and Quake World(ezquake) have this feature. Bumping this thread because I just linked it to someone after watching their Reflex stream VOD. Watching them struggle to reposition their killfeed widget by guessing the offset values was painful. Since we're coming up to release in 9 hours or so, maybe a mod could sticky this thread because I would quite frankly rate it as an essential one! Praise be to brandon!